[slideshow_deploy id=’373′]The holidays brings a lot of opportunities to ring in the bells and get out and showcase the best of your wardrobe. That does not mean that you have to go out and get a whole new wardrobe to avoid second sighting of outfits or wearing a favorite outfit that to our friends and family looks like the ghost of Christmas past. Accessories offer a great way to spruce up to old and breathe life into the new holiday celebrations. Plus they are a great way to bring the spotlight to moments that our special in our lives and differentiate them from the regular flow of life. Original necklaces offer a great opportunity to not only separate outfits from previous wears but also showcase and frame your face. This combination gives them a lot of bang for your buck, check out some great necklaces that are perfect for the different opportunities to shine you will have during the holidays. From fundraisers to the theater to celebrations, the holidays are hand over fist with occasions to break out formal gear and really make a statement. Nothing goes better with making a real statement than a necklace that really makes the introduction for you. 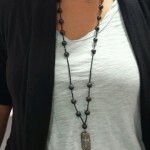 This necklace can be paired with something simple or muted and transform it to a look people will remember. The bold color contract and style assist you in getting notice, while carefully balancing a keen and youthful look. Even for those who skip church on a weekly basis, the holidays weigh more on the mandatory scheme of church attendance. 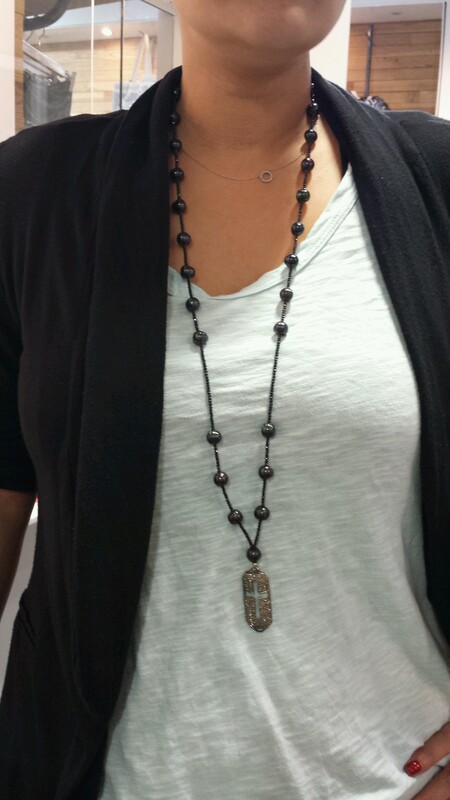 A great necklace such as this Chan Luu makes a statement while still being modest in the approach. The piece is reversible so it can quickly help in the transition from church to brunch or wherever the day takes you. Perhaps my favorite category, the holidays are always fun. Something about the mix of days off from work, gifts, and drinking makes parties a little more special than the rest of the year. Why not capture all of the fun of the season with a piece that is a little different but still beautiful. Laili Gabriel has a range of unique necklaces whose vibrant and distinctive style makes it a conversation piece for friends both new and old. Let’s face it, these are the people who if not see you the most, then at least should know you the most. The may be able to describe your style without even a twice over. A piece that puts a modern twist on glitz sets the season apart from the other gatherings throughout the year. This piece by Renee Shepard features real diamonds, but in a setting that both stands out and is relatable (a really rare combination). As much as I think women like the ornate, I find that most men are pretty simple. Having a simple and a tad bit suggestive piece of jewelry can ensure all parties end up a date with a smile on their face. This horn piece can be delicately used to suggest that naughty or nice the night will end with smiles. All of the treasures listed can be found at Sam and Lilli. Not to mention the ladies there are too much fun so you are guaranteed to walk out with a smile on face!